Wodehouse’s humor depends on its absurdity. A nobleman excessively devoted to a pig is funny enough. But what about if the pig was to be stolen to protect it from another crazy nobleman who likes to throw eggs at the gardener? Or perhaps we should have people pretending to be other people. Maybe there should be a scene with a pig in the bathroom and an accidental discharge of a gun. How about all of the above? Or perhaps another idea: what if people believed golf was the most important thing in life, and actually acted that way? How about a story wherein a golfer keeps talking while his girlfriend tries to tee off? How should she handle it? Maybe she should hit him with her niblick. And then, his friend should agree with her approach. Wodehouse is the master of taking things to a painful extreme in the pursuit of humor. In the process, like all great humorists, he reveals human nature. 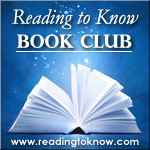 I enjoyed reading Uncle Fred in the Springtime (linked to review) for this month’s book club selection. I hope that the rest of you have as well, and that you will add Wodehouse to your own libraries. So, who picked up a Wodehouse title this past month? I hope you chose to. If you did and have written up a post talking about your Wodehouse experience, please leave a link down in the comment section. If you are planning to read along with the book club in May, it's time to pick up a copy of The Adventures of Tom Sawyer , by Mark Twain. Amy at Hope is the Word will be hosting the discussion. I found him ridiculous but fun! Thanks, Tim, for giving me the push I needed to read him. Any outing with Wodehouse is fun! Just (as in...this morning) finished "The Code of The Woosters"
The tongue in cheek absurdity that PG uses is lovely. I had so much FUN! I've been reading through posts and I love how everyone seemed to find a different title to read. And yet everyone's posts are making me grin quite a bit! I had hoped to read more, but I'm glad I got the one in! There maybe needs to be a Wodehouse Reading Challenge at some point! Anyone know of one?! Thanks, Tim, for hosting! Really appreciate it! I was able to read two books and listen to one and even though this isn't my first time to read Wodehouse I have enjoyed every minute! Even if Wodehouse didn't end up being one of my favorites, I'm still extremely glad I was finally introduced to his writing. I had fun! Thanks, Tim, for the encouragement to pick up Wodehouse. I'm so glad I did! Hi! Just stopping over from the Spring Reading Thing. I read a PG Wodehouse book a few years ago, (The Code of the Woosters) but I need to put another one back on the list! I think I'm due for another British comedy! Happy Reading!